WAILUKU – The state Office of Information Practices has written an opinion that public bodies cannot restrict testimony on agenda items. If a government board or committee wants to narrow the focus of a discussion, the office said, it would have to write a more specific agenda. The question arose from a March 13 Maui Planning Commission meeting. The commission wanted to receive an annual report from Maui Beach Limited Partnership about its disbursement of funds from a settlement agreement with West Maui Preservation Association Inc. It was not an action item. Sharyn Matin, founder of WMPA, wanted to present a more extensive explanation of events from the past year than Deputy Planning Director Colleen Suyama thought was necessary or appropriate. 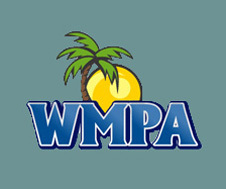 Lance Collins, attorney for WMPA, said the association was reviewing the ruling but was unlikely to pursue the matter further. “The point has been made,” he said. She said she apologized to Matin and the WMPA for restricting the presentation.